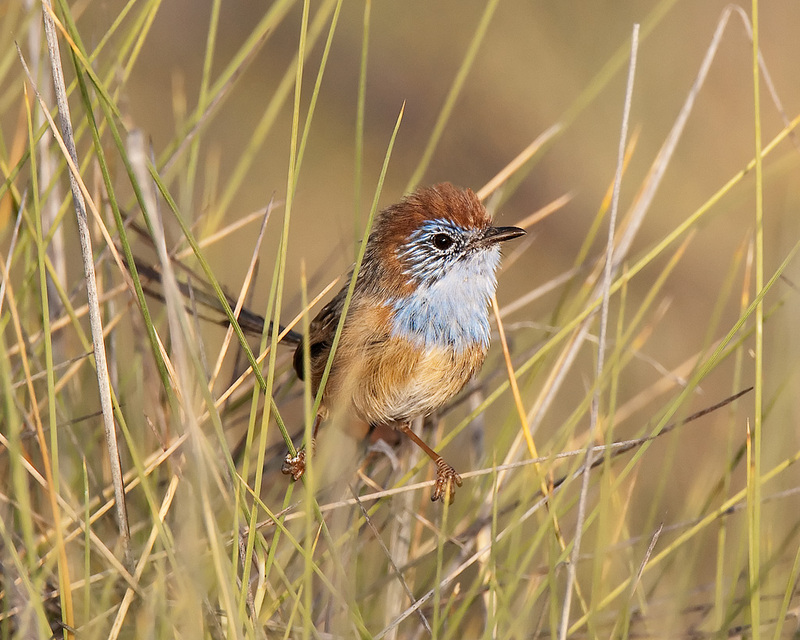 One of Australia’s largest and most-pristine mallee reserves, amongst Australian birdwatchers Hattah-Kulkyne National Park is best known as probably the best place in Australia to see Mallee Emu-wren and Striated Grasswren. Inhabiting the Spinifex or Triodia woodlands in the park, these two birds are amongst Australia’s most elusive bird species. In terms of conservation status the Mallee Emu-wren is considered globally threatened. Its estimates population is between between 1500 and 2000. Hattah is also a good place to see sought-after species such as Malleefowl, Apostlebird, Crested Bellbird, Splendid Fairy-wren, Yellow-plumed Honeyeater and Australia’s wonderful inland parrots, such as Major Mitchell Cockatoo, Regent Parrot, Blue Bonnet and Mulga Parrot. Many of the birds at Hattah depend upon the specialised habitat in which they live (such as Striated Grasswren, Mallee Emu-wren, Malleefowl, Shy Heathwren and Southern Scrub-robin) while others are more adaptable and can live almost anywhere including farming and urban environments. About 48,000 hectares in size, Hattah–Kulkyne National Park is located on Calder Hwy, 35 km north of Ouyen – the main entrance is on the Hattah–Robinvale Rd, 4 km in from the township of Hattah. Over the years I’ve visited Hattah-Kulkyne National Park many times. When visiting I’ve mainly stayed at the excellent Hattah Lakes campground, and occasionally stay at the Lake Mournpall campground, which is just as appealing. There are also basic camping areas are dotted along the Murray River. Although the parks main access road (to Lake Hattah) and the Mournpall Track are accessible with a standard 2WD, most of the other roads in the park are 4WD. Almost half the park consists of mallee woodland, often with a ground layer of spinifex, while the rest of the park is open woodland dominated by River Red Gum (Eucalyptus camaldulensis) and Black Box (E. largiflorens). Hattah-Kulkyne also has an extremely significant system of shallow freshwater lakes and ephemeral swamps. 12 of the lakes are listed as internationally important under the Ramsar Convention, and they are seasonally filled by creeks connected to the Murray River (as part of environmental watering via the Emergency Red Gum Watering scheme). The best area of mallee in the park is bordered by the Old-Calder Highway, Nowingi Track, Konardin Track and the Mournpall Track (-34.692227,142.275474). 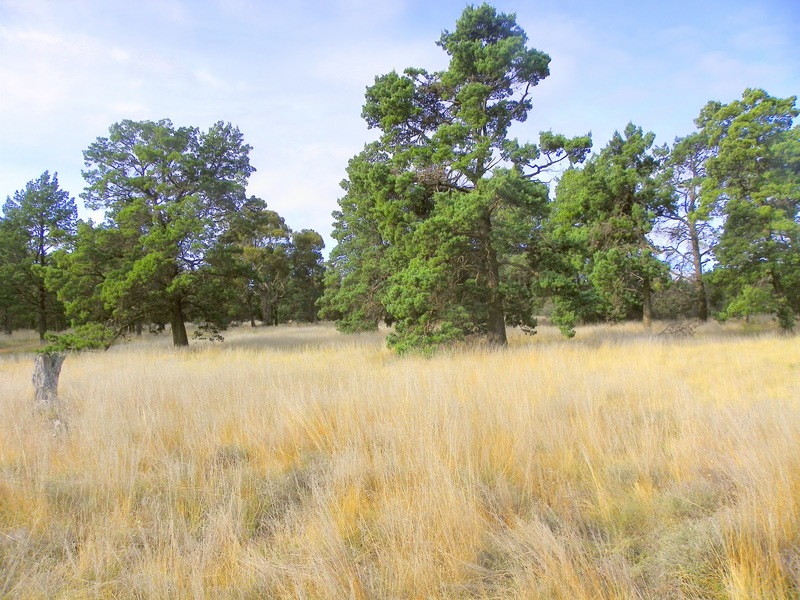 This area is characterised by am overstory of low Mallee Eucalypts that have several slender trunks arising from a single large underground tuber called a ‘mallee root’. The main Mallee trees are Yellow Mallee (Eucalyptus incrassata) and White Mallee (E. dumosa), and there are also Slender Cypress-pine (Callitris gracilis), Desert Banksia (Banksia ornata) and Grass Tree (Xanthorrhoea australis). These woodland/shrubland habitats have lots of open space between the trees and shrubs, with an understorey of shrubs, grasses and herbs. The most prominent grass is Spinifex (Triodia scariosa), which grown to about 1 metre high. 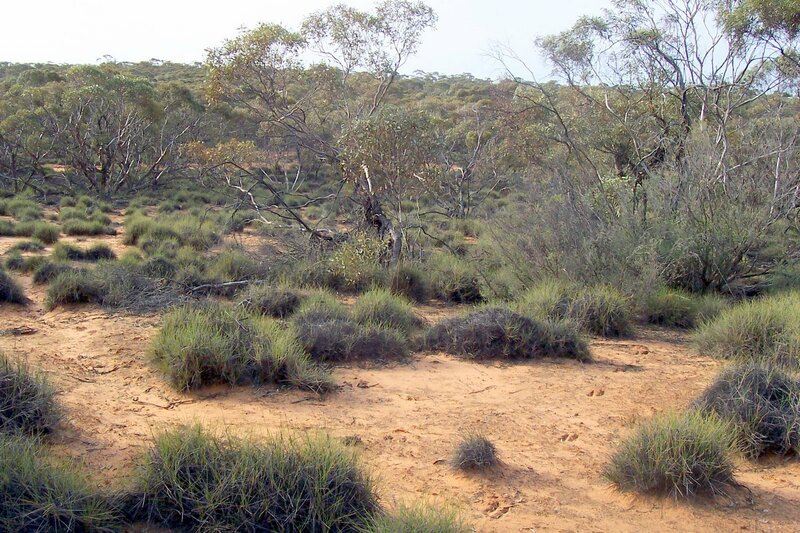 Importantly it is in the area of Spinifex that you search for Mallee Emu-wren and Striated Grasswren. While other plants in the park include Slender Hopbush (Dodonaea angustissima), Hooked Needlewood (Hakea tephrosperma), Moonah (Melaleuca lanceolata), Ruby Saltbush (Enchylaena tomentosa), on the shores of the lakes grow stands of Eumong (Acacia stenophylla), the rare Garland Lilies (Calostemma purpureum), and clumps of purple Noonflower (Disphyma clavellatum) – a staple food source for Stumpy-tailed Lizard (Tiliqua rugosa). It is also worth noting that fires are a dominant part of the Mallee landscape and are a major factor in determining the nature and distribution of vegetation. However, fire regimes have changed since European settlement with alterations to fire frequency, intensity, timing and extent. 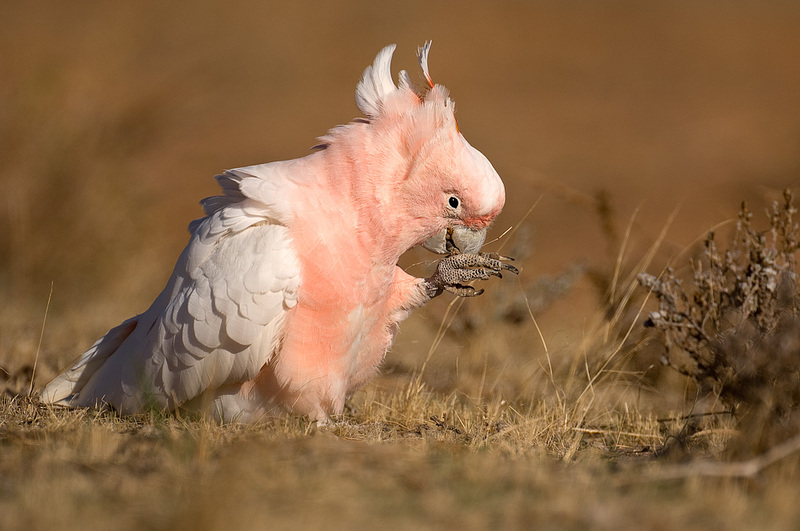 As with other Mallee wildlife, birds response to fire often depends on the changes to vegetation structure (which provides them with food, shelter and breeding grounds). 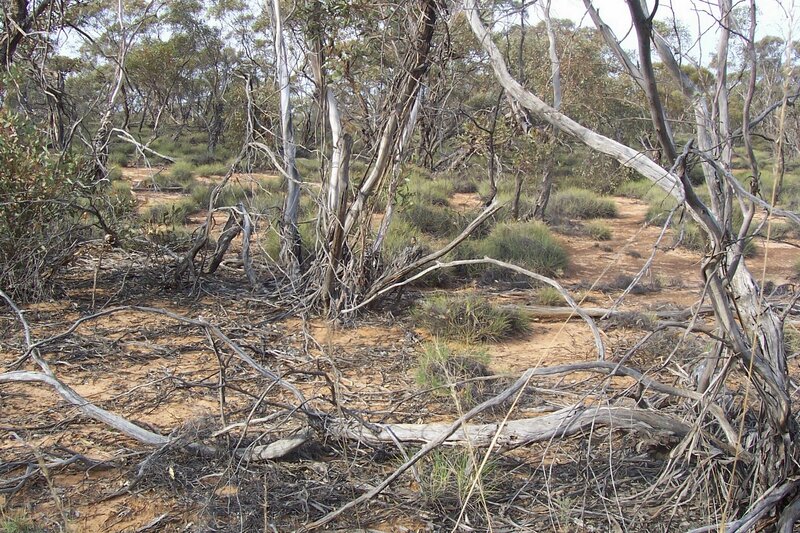 Leaf litter, Spinifex cover and tree bark are all affected by fire, and all recover in differing timeframes. This variability is important for providing a variety of bird habitat types, and thus thus diversity. The riparian forests, woodlands and shrublands occuring around the Hattah lakes and along the the parks wetland, floodplains and waterways are dominated by either River Red Gum (forests), Black Box (woodlands) or Tangled Lignum (shrublands). Floodwater is needed to stimulate the regeneration of these forests, woodlands and shrublands. Culturally the Hattah Lakes were extreme significance to the local Aboriginal people. While birding, keep an eye open for the shell middens, fire hearths and scarred trees that are scattered around the lakes. 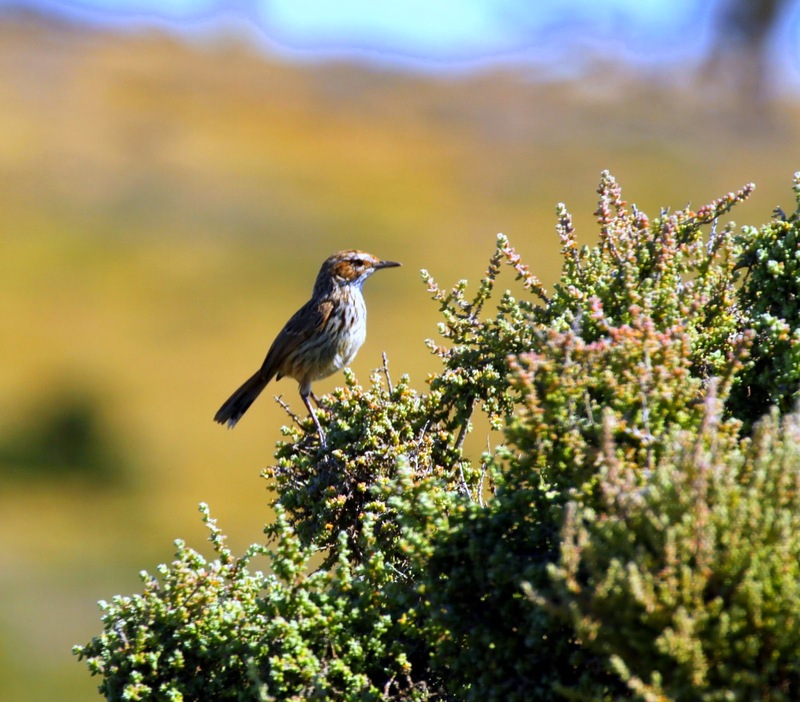 Striated Grasswren calling on the Nowingi Track. Image Jon Thornton. If you are trying to TWITCH birds at Hattah, the main birds to target are Mallee Emu-wren, Striated Grasswren and Malleefowl. I’ve seen all three at the beginning of the southern end of Nowingi Track, checking in the Mallee either side. On one occasion I got Mallee Emu-wren and Striated Grasswren within 5 minutes, walking ~50 metres in, eass of where the the Nowingi Track turns due north (-34.691151,142.273933). The main thing is to keep quiet and listen for the high-pitch calls of each species. 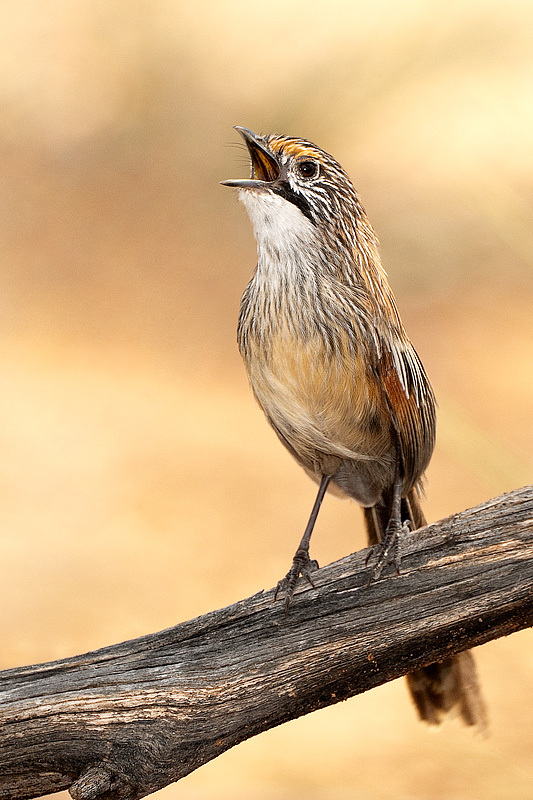 The call of the Striated Grasswren call is a series of scratchy squeaks and trills, sometimes described as tsee tsee tsee cheep cheep cheep, while the Mallee Emu-wren is a weaker insect like see see. One: walk slowly and listen very carefully for their high pitched call. Two: alternatively walk reasonably quickly, covering more territory, stopping when ever you think you hear something – noting that this technique is probably best for Grasswren as they tend to move away when approaching. Many of the other mallee species can be found in this area including Malleefowl (sometimes seen crossing the tracks in the park in this area, particularly early in the morning), Crested Bellbird, Chestnut Quail-thrush, Shy Heathwren, Gilbert’s Whistler, Inland and Chestnut-rumped Thornbill, White-browed, Masked and Dusky Woodswallow, and honeyeaters such as White-eared, Yellow-plumed, Brown-headed, Spiny-cheeked and, occasionally White-fronted and Striped, and Yellow-throated Miner. This area is also good for Spotted Nightjar. In terms of reptiles, this area is also particularly good for Mallee Dragon (Ctenophorus fordi) and I’ve also seen Sand Monitor (Varanus gouldii), Common Blue-tongued Lizard (Tiliqua scincoides), Western Blue-tongued Lizard (Tiliqua occipitalis), Stumpy-tailed Lizard (Tiliqua rugosa), Desert Skink (Liopholis inornata), Tree Dtella (Gehyra variegata) and, on several occasions, Burton’s Snake Lizard (Lialis burtonis). For a good brochure on Mallee lizard see the Mallee Lizard Field Guide. Another spot to look for Mallee Emu-wren is on the Konardin Track, with the main access is via the Mournpall Track. I’ve found the best spot to be around 500 m after you pass through the Kangaroo Fence (-34.690833,142.329767). Look also for Splendid Fairy-wren, which occur in the open sandy scrub directly adjacent to the fence line. 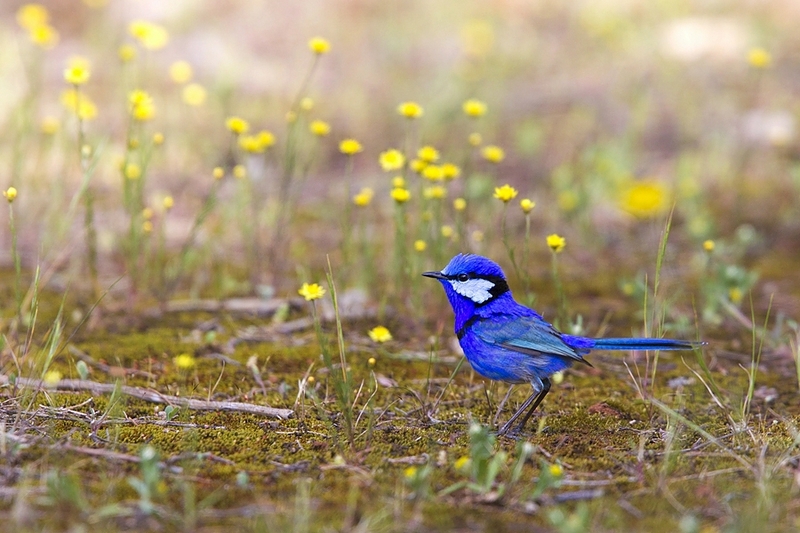 A very splendid Splendid Fairy-wren. Image Jon Thornton. If you don’t find Mallee Emu-wren along the Nowingi Track or the Konardin Track, they also occur along the Warepil Lookout Walk; enter just north of the Lake Mournpall campground. In most cases when I’ve seen Mallee Emu-wren they’ve been in association with the larger tussocks of Spinifex. Another site for Striated Grasswren is the mallee woodlands along a fire trail that runs parallel to the Hattah-Robinvale Rd (-34.761715,142.320735). I usually park my car at the entrance to the national park, and then walk across to the fire trial. At this site I’ve also seen Chestnut Quail-thrush, Shy Heathwren and Crested Bellbird. Section of Buloke along the Mournpall Track – perfect habitat for Chestnut-crowned Babbler. Hattah is also great for Mallee parrots, such as Regent, Mulga, Blue-winged and Red-rumped Parrot, Australian (Mallee ssp barnardi) Ringneck, Blue Bonnet, Cockatoo, Little Corella, Cockatiel, Major Mitchell and Sulphur-crested Cockatoo, Galah and Crimson (“Yellow” ssp flaveolus) Rosella. Perhaps the best are for Regent Parrot, Yellow Rosella and Major Mitchell Cockatoo is around Lake Hattah itself i.e. look for Regent Parrot and Yellow Rosella near the day picnic area and toilet block, just before you enter Hattah Lakes campground. In spring, listen for high pitched call of Blue-winged Parrot as they fly high in the sky over the campground (usually in the morning). In 2012 there was a possible sighting of a Night Parrot, one of the world’s rarest species, flying through the Lake Mournpall Campground. The Hattah and Lake Mournpall Campgrounds are both good for seeing Apostlebird; they muscle their way around the campsites each morning and evening. Other bird around the campgrounds include Noisy Miner, Grey Butcherbird, White-winged Chough, Blue-faced Honeyeater and, at night, Southern Boobook, Australian Owlet-nightjar and, occasionally, Spotted Nightjar. In general the lakes and ephemeral wetlands around Hattah – when when they contain water – provides habitat for wide range of waterbirds such as such as Australasian Darter, Black Swan, Australian Pelican, Great Egret, Grebes such as Australasian, Hoary-headed and Great Crested, Pink-eared, Musk and Blue-billed Duck, Grey and Chestnut Teal, Eurasian Coot, Black-tailed Native-hen, and rarer species such as Freckled Duck, Australian Painted Snipe, and Australasian Bittern. Importantly look around the lakes for birds of prey; I’ve recorded a very respectable 18 species including Black, Peregrine and Brown Falcon, Australian Hobby, Nankeen Kestrel, Collared Sparrowhawk, Black and Whistling Kite and Wedge-tailed and White-bellied Sea-Eagle. For woodland birds I’d recommend doing the Lake Mournpall Loop. It follows the northern edge of Lake Mournpall, before looping around through mallee dunes. It’s a reasonably long walk – about 9 km – so it’s best done early in the morning. Ground Cuckoo-shrike have been seen along this walk, as well as more common birds such as Hooded and Red-capped Robin, Jacky Winter, Southern Whiteface, Brown Treecreeper, Black-eared Cuckoo, Splendid and Variegated Fairy-wren, Pied Butcherbird, and White-browed and Chestnut-crowned Babbler (look in the open areas with native pine). A drive along the self-guided Hattah Lakes Nature Discovery trail is also worthwhile, particularly for open woodland species. The Mournpall Track is good place to spotlight for Spotted Nightjar, which have a tendency for roosting along the rocky surface of the road – look out for them in your car head lights. On one particularly night we spotlighted along the Mournpall Track (between the Lake Mournpall campground and the Bitterrang Track turn-off) and we got onto a total of seven Spotted Nightjar, as well as Tawny Frogmouth and Eastern Barn Owl. 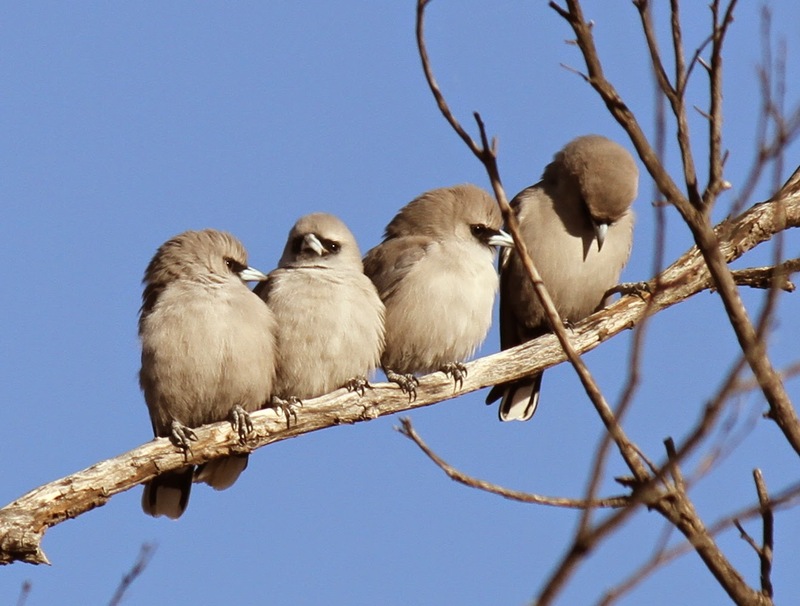 During the day, in the areas of semi-arid non-eucalypt woodland along the Mournpall Track (between Lake Mournpall and the Raak Track), particularly where there are Bulok, you can usually find several families of Chestnut-crowned Babbler. I generally look for Chestnut-crowned Babbler in the larger sections of Slender Cypress-pine, while on the vegetated sand dunes hold both Splendid and Variegated Fairy-wren. In the grassland along side the Mournpall Track there is usually grazing Emu and both Red and Western Grey Kangaroo. Major Mitchell Cockatoo. Image Jon Thornton. On the way up to Hattah I recommend visiting Lake Tyrrell, Victoria’s largest salt lake (20,860 ha). Shallow an salt-crusted lake, three quarters of the lake is protected as a wildlife reserve. The remnant habitat around the lake is chenopod shrublands and plains grassland, vegetation communities that’s are mostly devoid of trees. 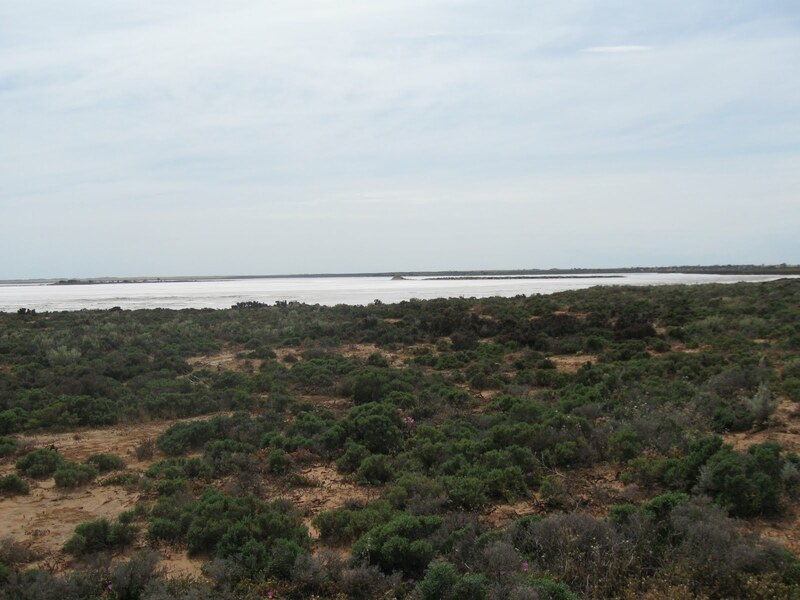 Instead the environment is dominated by shrubs such as Bladder Saltbush (Atriplex vesicaria), Grey Bluebush (Maireana appressa), samphire species such as Blackseed Glasswort (Halosarcia pergranulata), Slender Glasswort (Sclerostegia tenuis), A Samphire (H. pterygospermum), as well as Babbagia (Osteocarpum acropterum) and Leafy Sea-heath (Frankenia foliosa). The dominant ground cover is Rounded Noon-flower (Disphyma crassifolium). There are also a number of rare floral species including the Lobed Blue-bush (Maireana lobiflora), Wiry Glasswort (Halosarcia lylei) and the wonderfully named Yakka Grass (Sporobolus caroli). Some of the copi islands in the lake are inaccessible to stock, and therefore retain vegetation with high natural habitat values. The small islands are also used as a breeding ground for species such as Silver Gull and Banded Lapwing. Lake Tyrrell is the terminal lake of Tyrrell Creek, located on the south side of f Lakes Tyrrell, flows every 5 years or so. The habitat of the lake, and the habitat along Tyrrell Creek, both act as an important wildlife corridor for many species of birds and animals. 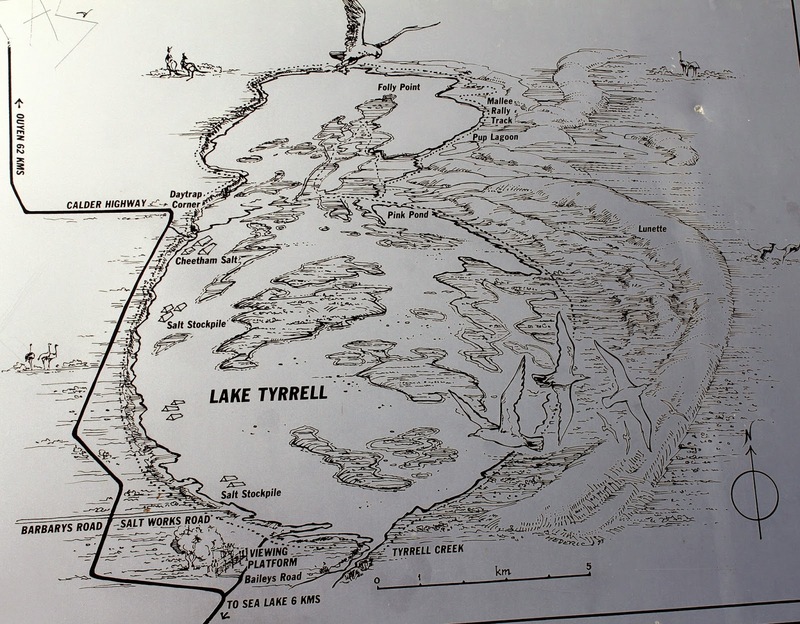 Lake Tyrrell is also a discharge area for ground water, referred to as ‘boinkas’, after an Aboriginal word. During wet and warm periods in Victoria, Lake Tyrrell turns pink from the red-pigment secreted by the pink mirco-algae Red marine phytoplankton (Dunaliella salina). Now extinct, two kinds of flamingo, Phoeniconotius eyrensis and Phoenicopteris novaehollandiae, once occurred in Australia. You can imagine in times past these two majestic species feeding on the pink algae at Lake Tyrrell. Along the eastern edge of the Lake Tyrrell runs a large crescent shaped dune (called lunettes). Recent surveys at along the dune have revealed evidence of Aboriginal occupation, recording over 130 cultural sites including hearths, stone scatters and burial sites. One such archaeological site is Box Gully site. Consisting of the remains of a small hunting camp, it’s been radiocarbon dated of between 26,600 and 32,000 years BP. This makes Box Gully the first documented pre-30,000 BP Aboriginal occupation area between the Murray River and the Tasmanian. In terms of recent usage of the lake, Salt is commercially extracted by the Cheetham Salt Works at the northern end of the lake. The first recorded salt harvest was in 1896, now ~100,000 tonnes are extracted each year. It’s also worth noting that the Mallee Rally, an off-road desert car rally, is held at Lake Tyrrell on the Queen’s Birthday weekend. So, from a birdwatching point of view, this is a good time to avoid visiting. There are two good access points. Firstly, from the township of Sea Lake, drive north up the Calder Hwy until you reach Baileys Rd (6.5 km). Them drive down Baileys Rd, past the lookout, until you reach Lake Tyrrell Rd (about 1.5 km). Here are some of the more interesting species of bird found at Lake Tyrrell: Orange Chat (look in the schrublands beside the lake or on the right side of the Lake Tyrrell Road as it leads east from the lookout), Rufous Fieldwren (look in the areas of planted Bluebush ~100 metre in front of the base of the Lookout, White-winged Fairy-wren (look in the vegetation nearer the lakes edge – but anywhere), Black-faced Woodswallow (near, and about, the Lookout), White-backed Swallow, Brown Songlark (scan in the bordering paddocks, particularl on fence posts), Blue Bonnet (particularly along Baileys Rd) and Singing Honeyeater (anywhere in the schrublands). Occassionally Blue-winged Parrot occur at Lake Tyrrell. For example, in 2006 I saw of flock of 50+, all feeding on the ground in the Blue-bush plantation in front of the lookout. While another a second access point access point from Sea Lake is to drive north along Calder Hwy and then turn after 3 km left onto the Robinvale-Sea Lake Rd. After another 3.7 km come to another entrance point of the Lake Tyrrell Rd. Turn left and after 100 m stop and bird in the scrublands bordering the Tyrrell Creek. Here there are usually large numbers of Blue Bonnet and occasionally Budgerigar and Emu, and you should see a nice selection of open woodland species. From here you can drive west along Lake Tyrrell Rd until up reach the Baileys Rd and the lookout (mentioned above). There are also some interesting reptiles at Lake Tyrrell. It’s one of only a handful of spots where you can find the rare Lined Earless Dragon (Tympanocryptis lineata lineata) – look for them in the shrublands. You may also see Shingleback (Tiliqua rugosa) and the rare Samphire (or Adelaide) Skink (Morethia adelaidensis) and For an excellent guide to the lizards of the Mallee see http://www.malleecma.vic.gov.au/resources/miscellaneous/mallee-lizard-field-guide. As with all Mallee areas I strongly recommend that you be careful when wondering around the bush. Due to the structural nature of Mallee, it’s very easy to loose your sense of direction, so a compass or GPS can be a very handy tool to maintain your location. In some places, Google maps will work on you phone. Although I have a good sense of direction, on one particularly occasion, I remember becoming completely disorientated – it was an area I’d not previously visited. My reaction was to immediately stop walking and wait. I reasoned that I was close enough to the Calder Hwy and – as long as I stayed exacty where I was – I’d hear any passing trucks. After 5 minutes I heard a truck, to my west, and then knew that I had to walk north to rejoin the road and my car. Another technique I’ve used to maintain direction in the Mallee is to look at the direction of my shadow. Using your shadow, you can determine the direction you’re walking i.e. walk with your shadow falling to your right. After several hundred metres, turn around, 180°, so it fall on you left, and walk back the way you’ve come. You can also turn 90°, so it fall direction behind you, continue for several hundred metres, and then turn turn 90° again and return to the track that you’ve come from.